Rockstar Games' Sam Houser, Dan Houser and Leslie Benzies will be inducted into the Hall of Fame of the Academy of Interactive Arts & Sciences at the 2014 DICE Awards on Thursday, the Academy announced this morning. 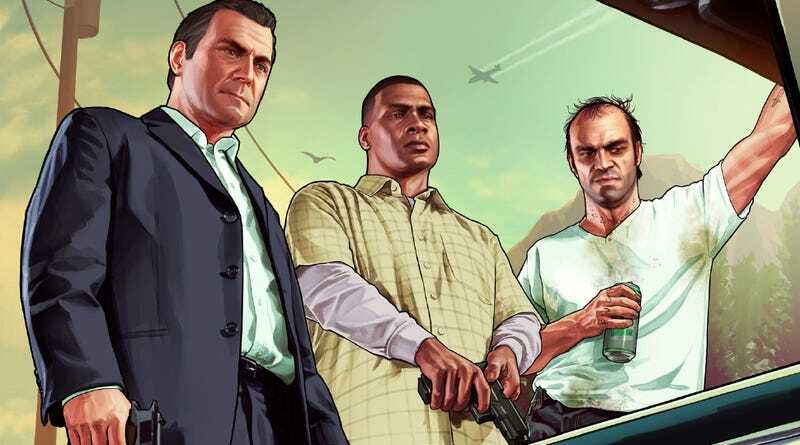 Benzies, the President of Rockstar North studio, is the producer of the Grand Theft Auto series since its third edition, the one that introduced its groundbreaking, third-person open world style. Sam Houser is well known as the president of Rockstar Games; his brother Dan is the label's chief creative officer, and has been the writer of the Grand Theft Auto series in addition to Red Dead Redemption, Bully and Max Payne 3. Take-Two Interactive, the parent company of Rockstar Games, announced just yesterday that Rockstar has sold 250 million games (all series) worldwide. Selection to the AIAS Hall of Fame is conferred upon video game creators "who have been instrumental in the development of highly influential games and moving a particular genre forward." Past inductees have included Gabe Newell of Valve, Tim Sweeney of Epic Games, and Drs. Greg Zeschuk and Ray Muzyka, formerly of BioWare. Kotaku will be in Las Vegas for DICE 2014, and you may watch the awards streamed live right here on Thursday.